This iconic American-born actress has been around for a long time and she does not appear to be slowing down any time soon. Julia Duffy first gained national prominence for portraying the character Stephanie Vanderkellen on the 1980s sitcom Newhart. This career-defining role fetched her multiple Emmy Award nominations, as well as one Golden Globe Award nomination. Duffy was also on the main cast of several other sitcoms all through the 90s, including Baby Talk, Designing Women and The Mommies. She also has several notable film credits to her name including the 2003 animation Charlotte’s Web 2: Wilbur’s Great Adventure and the comedy flick Intolerable Cruelty. Julia Duffy was born Julia Margaret Hinds in Minneapolis, Minnesota. She was born to Mary Duffy and Joseph Hinds on the 27th day of June in 1951. She marked her professional acting debut in 1972 on an episode of the soap opera Love of Life and afterwards, she got minor roles in other soap operas The Doctors (1973-78), One Life to Live (1978) and The Love Boat (1979). She got her first big screen role in the Sci-Fi movie Battle Beyond the Stars (1980) even as she continued to garner further television credits. The talented actress starred in the comedy film Wacko (1982) and was also on the main cast of the short-lived series Wizards and Warriors (1983). Julia Duffy ultimately got her breakthrough role in 1983 when she was cast as a regular character Stephanie Vanderkellen on the sitcom Newhart (1983-90). Her portrayal of the character earned her much critical acclaim including 7 consecutive Primetime Emmy Award nominations (1984-90) and one Golden Globe nomination (1988). This career-defining role also set a precedent of what was to become of Duffy’s career as she has come to be known particularly for her excellence in the comedy genre. She featured in many other sitcoms through the 1990s; as Maggie Campbell in Baby Talk (1991), as Allison Sugarbaker in Designing Women (1991-92) and as Barb Ballantine in The Mommies (1993-95). She was equally the lead star of the short-lived sitcom Social Studies (1997), in addition to many guest roles. In 2003, Duffy lent her voice to the titular character in the animated film Charlotte’s Web 2: Wilbur’s Great Adventure. She appeared in the comedy film Dumb and Dumberer: When Harry Met Lloyd (2003) and was also on the star-studded cast of Intolerable Cruelty (2003) alongside George Clooney and Catherine Zeta-Jones. Julia Duffy has continued to record several television roles since the turn of the century. She has had notable guest roles in TV series like Reba (2001-02), Drake & Josh (2004-06), CSI: NY (2005), 7th Heaven (2006), Shameless (2011-13) and The League (2012). She also starred in several telefilms, as well as the 2014 indie movie Camp X-Ray alongside Kristen Stewart. Julia Duffy has enjoyed a steady progression in her career since marking her professional debut in the 1970s. She established herself as a force to reckon with in the comedy genre and has managed to remain relevant ever since. Through hard work and consistency in her Hollywood career, in addition to other business ventures, the star has built quite a massive financial empire for herself. Duffy’s net worth is pegged at an astonishing $4 million. This sum is expected to remain on the increase as there seems to be no slowing down for the iconic actress. 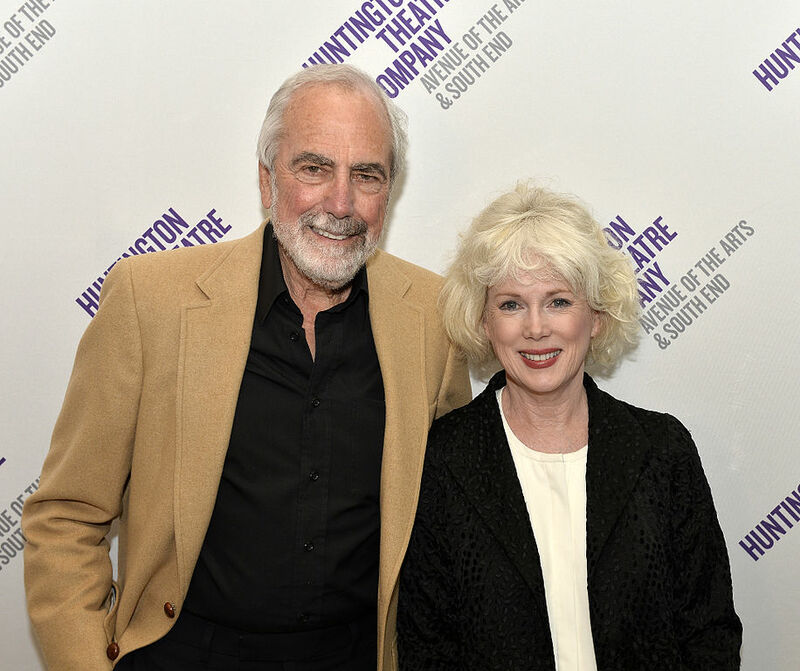 Just like her brilliant Hollywood career, Julia Duffy also has a blissful marital union. She has been married for over 3 decades to actor Jerry Lacy. This couple got married on June 21, 1984, and their marriage has continued to wax strong ever since. Duffy has 2 children with her husband; a daughter and a son and interestingly, both of their children have also found their way into the show business. Their daughter Kerry Kathleen Lacy is an actress and a production designer. Their son Danny Lacy is an actor and a writer. Height, How Tall is Julia Duffy? As they say, the best gifts sometimes come in small packages. This saying stands true for iconic Hollywood actress Julia Duffy who is she only about 5 feet (152 cm) tall. She has also maintained her enviably trim physique over the years. The ageless actress has a head full of gorgeous blonde hair which is undoubtedly one of her most distinctive physical features.